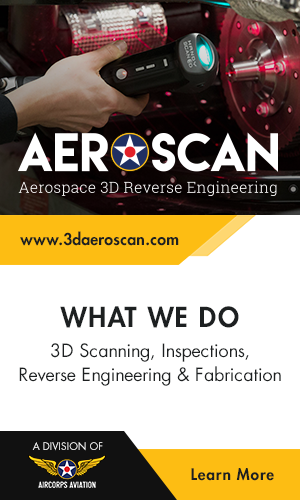 Warbirds News likes to support authors with new books which might appeal to our aviation-minded audience. One such book which crossed our desk recently is “Naval Air Station Pensacola”, by mother and son team Maureen Keillor and Chief Richard Keillor. 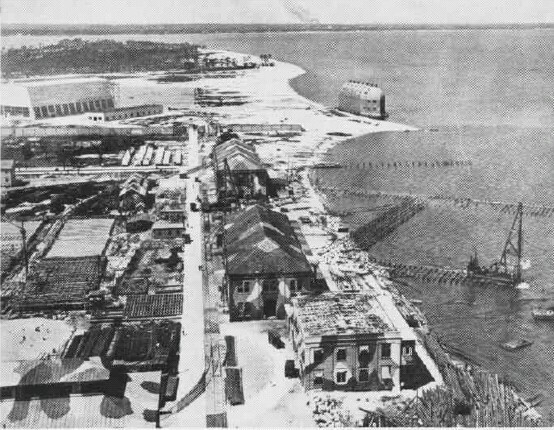 The book, one of Arcadia Publishing’s Images of Aviation Series, is a pictorial history of NAS Pensacola from its humble beginnings in January 1914 as the US Navy’s very first commissioned air station to the present day. The photographs are thoroughly engaging, and well captioned. Some of the topics covered includethrilling images of water landings, and the “Dilbert the Dunker” machine which pilots used to practice emergency egress from a submerged aircraft. The base’s vital contributions in WWII are covered, and another chapter includes images from the earliest days of the Blue Angels aerial demonstration team that are sure to please many readers as well. 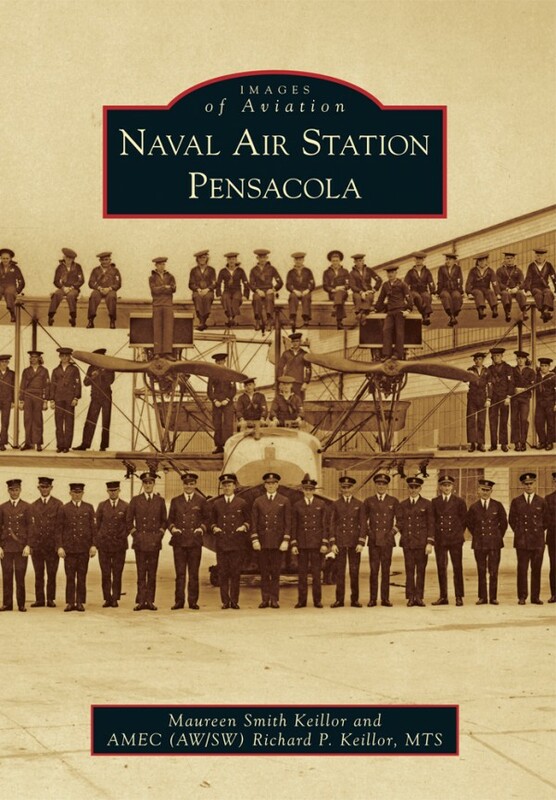 While not an in-depth history, the book is sure to entertain as well as educate the reader, and will provoke many to learn more about NAS Pensacola, and its vital place in both US naval aviation history and its future. 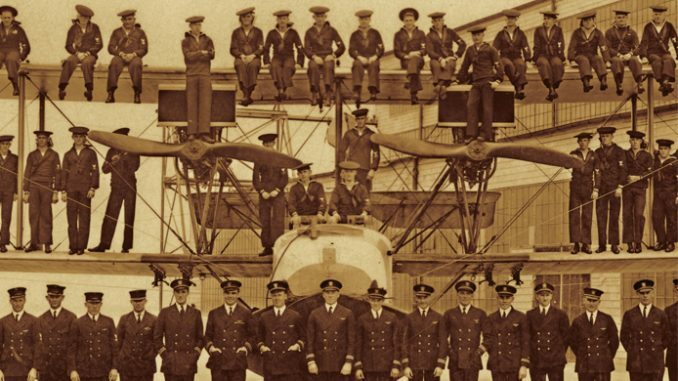 Although collected from multiple sources, the vast majority of images in this book are part of the collection at the Emil Buehler Library at the NNAM and show the amazing development of naval aviation from its infancy through the jet age. Maureen Smith Keillor earned a bachelor of arts in history with a minor in English in 2011.The same year, she graduated from Clayton State University with a BA in History and a minor in English. Her co-author, son Richard Keillor, is on active-duty in the U.S. Navy. Until December of 2013, he was an LCPO at NATTC here at NASP, when he was transferred to NAS Oceana and the Valions of VFA-15, and will soon deploy on the George H.W. Bush (CVN-77).